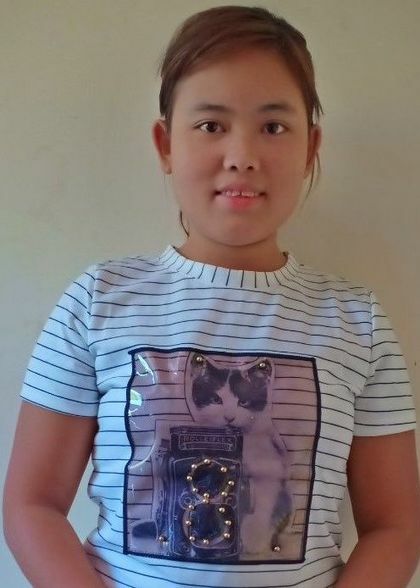 Nilar Htike, 25, Myanmar, Buddist, single is a bubbly, kind and fresh helper. She has been working as a tailor for the past 6 years in Myanmar. She can look after children from 4 years old onwards. She can also look after mobile elderly person. She can cook Myanmar food and she loves to cook dishes like chicken, vegetables, pork. She has basic knowledge of housekeeping and handling of household equipment. Dejavu Employment Agency is a foreign domestic help provider in Singapore with an objective to enhance your lifestyle with our honest and reliable helpers at an affordable cost. Our forte lies in providing candidates who are assessed for suitability and vibrancy to match your requirements. We take every effort to continually train candidates to ensure every individual comes equipped with the right attitude and necessary skill to meet your needs. Our goal is to provide professional service that meets your expectations. In essence, we believe in treating others the way we want to be treated.